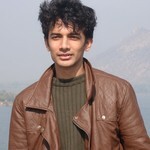 Aditya Sarkar is a Marketing Manager at LimeTray. He loves solo-travelling, playing all kinds of sports and hanging out with friends. Technology is transforming the restaurant space and this is happening at a rapid pace. Faster operations is the need of the hour and the customer’s experience is kept at the forefront. Expanding business, via scalable restaurant technology, has enabled faster growth and more profitability for your restaurant. So if you do not do this at your restaurant, your competition might definitely beat you to it. Let’s keep it simple. With customer experience being of paramount importance, restaurants are investing in self serving kiosks, the best POS systems, sophisticated order-online platforms, trendy analytics tools and so on. But obviously all this comes at a cost and just blindly investing in technology is not going to cut it. A well laid out plan with a few well defined objectives is what restaurants need today to go about their business. Once the restaurant objectives are laid out, defining what technology will get you there is important. But there is a plethora of information out there and number of restaurant software platforms and technology. How do you choose? How do you stay informed about what’s cooking in the food and beverage space so that you can make calculated decisions about the investments you are going to make. That’s right - the need of the hour is making well-informed decisions. Enter Food-Tech Bloggers & Influencers! Restaurant Influencers are stalwarts who have worked in the industry and have gained significant experience across the various functions of a restaurant. They inform you about all you need to know in any function - be it operations, food delivery, billing and finance, marketing - any domain and there is a ton of information out there for you to access. How do you weed out the chaff from the grain? How do you selectively choose the good information from the junk that is out there on the search engines. Check their domain/website: Are they frequent writers? Check their sources: Is it largely just blabber, or are they citing reliable sources such as Statista, Gartner etc? Check for value: Are they adding value to you? Are they giving you actionable pointers of how you can better your current strategy? Once you’ve shortlisted a few domains to learn from - you are ready to get started. If you want to carve your niche as a food-tech influencer, you must be up to date with all that’s cooking in the food-tech industry. This might include trends, news, events, recognitions, technology updates and any other thing which you consider as important. Subscribe to all the leading blog sites. LimeTray is one such company which shares insights on the restaurant tech space and has gained a large subscription base over a short period of time. Restaurant staff/managers/owners throw up a lot of questions on forums, social media helps groups. Communities. Make sure to be active on those groups and address the queries of the restaurants - make sure that more and more people come to know of you (on those platforms). These are excellent platforms for you to share your knowledge & become a go-to person for your restaurant technology queries. There are various places where you can meet people who are linked to the industry. You need to hear them, learn from them and connect with them and interact with them whenever you can. So if you wish to establish yourself, get started. Get chatting with them, find out platforms where you can meet more such influencers and get cracking. How can you get started as an influencer? Well, this is definitely the hard part. Here you start with the basics. Read up all the content (you possibly can) which is out there. You should know all about restaurant POS machines, what pain-points they serve. How applications have gone increasingly on the cloud, how Cloud POS triumphs over Legacy POS, what are the unique benefits of having your own restaurant online ordering platform, how Restaurant Marketing, Loyalty and Feedback systems work in tandem, how 3rd party aggregators dominance in the food space and the list goes on. Having a sound base of all there is to know about the Food-Tech space is the first step. To learn fast, you should join the relevant groups on forums such as Reddit, follow companies like TechRepublic, - browse on established domains where all that’s new in the industry would be talked about discussed. Read up on the problems faced by restaurants, how technology can help solve the problems. Think like a restaurant owner, understand him, understand what concerns he has with his day to day operations, customer experience. Can technology be the answer to these questions. What benefits will your technology provide. Are they exactly in-line with the pain points.If not, are the products (which you’re promoting) relevant to him? You did the hard part, you read up everything out there - now you wish to start off as a blogger. Build a website - update your content there, your ideas, your thoughts - put it all up there. Take a diverse set of topics across the various functions of a restaurant and create content which will appeal to a restaurant. For example one common pain point for restaurant management is how to allocate resources between the 2 important pillars of marketing - Acquiring new customers VS Retaining old customers. Next, get traffic onto your site. How? Create social media handles and get people to see glimpses of your content there, direct them to your website. O the website, give them enough to make them want more - ask them to sign up to your newsletter, build a mailing list and contact them regularly. If you feel the organic approach is taking longer than expected, invest a little into running paid ads on Social Media, Search engines to build traffic around a few of your top pages. You started blogging? Great! But that is only one kind of content which people like to see. Do you see the autoplay videos which start playing on your Social Media handles? People like seeing engaging content, content that speaks out. So as you plan your content strategy, as a blogger/influencer, keep in mind the importance of diverse content. Even search engines give marks to diverse content - hence the need would be now to diversify your content a little - make the use of videos, infographics, brochures - keep your followers guessing on what you are about to come up with next. As you start building your brand, see that others start talking about you too. Show your work to restaurants , influencers, affiliates and get their buy in. Make them talk about you too so that you can leverage their connections and amplify your reach further. Get mentioned on their social media, their websites with link-backs to your blog domains to get more traffic. A few contacts would definitely help here. There will be a lot of events and festivals where you can meet people in the industry, the information is publically available and you can make a list of all the events and festivals you would like to take part in. Aahar is an event which happens every year and is a must visit for any food-tech influencer. Also keep a track of any all such meet-ups and collaborative platforms where you can participate! In order to establish yourself as a food-tech blogger, you would need to get started with the above 7 point checklist. Getting started from scratch in the restaurant technology space might be a daunting task. You need to quickly shortlist a few resources that will help you get up to speed with all that you need to know. The LimeTray blog page will provide you a lot of insights on the various kinds of restaurant technology currently in vogue. You need to be actively involved in groups which talk about current trends and restaurant pain points that come in the way of growth. Be rest assured, following a disciplined approach like the one just described you puts you at a better position to hit your goals. We wish you all the best in your journey to become a food-tech blogger.